Do you have a pet or remember a favorite pet from your childhood? We would love to know! Click Here. Room 108 is an educational activity center for kids. I s your voice beginning to sound like a broken record? Are you always nagging your kids to do their homework? Are you having trouble motivating your child to stop watching TV or playing video games and to play outside instead? Then consider making a pet part of your family. Many people are aware of the health benefits that come from having a pet, including lowering high blood pressure , preventing heart disease and combating depression . However, what parents may not realize is that adding Spot, Polly or Mr. Whiskers to the family can be advantageous to the other bundles of joy "scampering" around your house-your kids! While little children are too young to worry about preventing stress or lowering health care costs, there are numerous benefits they can experience from having a family pet. Pets, whether a dog, cat, bird, hamster, reptile or fish, help children gain a sense of independence that can set them on the path to becoming mature, responsible adults. 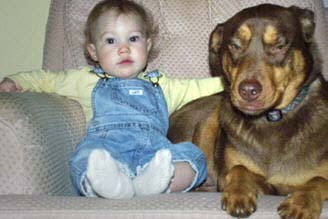 Children can learn the importance of responsibility at an early age by acting as a caretaker for a pet. Fish are a terrific first pet because children can play a large role in caring for them. However, other pets that require more attention, like a cat or dog, can present an ideal opportunity for parent and child to bond while caring for the pet together. Showing children what it means to be responsible for another creature's survival can result in teaching important life lessons such as discipline, patience, kindness and attentiveness. Walking the dog, feeding the guinea pig and talking to the parrot can serve as fun study breaks for kids, and a replacement for television programs and video games. These pet-related activities help children remain focused on the task at hand, and are less likely to become distractions that will prevent homework and chores from being completed. Bringing a pet home and into the family can be an effective way to help prepare children for real life scenarios. For example, pets can ease the transition of suddenly having to share mom and dad's attention with a new brother or sister by demonstrating how much fun new playmates can be, as well as what is involved in caring for another. Pets can also help kids learn to deal with medical issues and illnesses as they are exposed to routine veterinarian check-ups with their pet, and the treatments for various ailments. To find out more about the relationship between children and pets and how to care for your special friend, call the American Pet Products Manufacturers Association at 1-800-452-1225 and ask for a free copy of "The Pet Owners Manual.